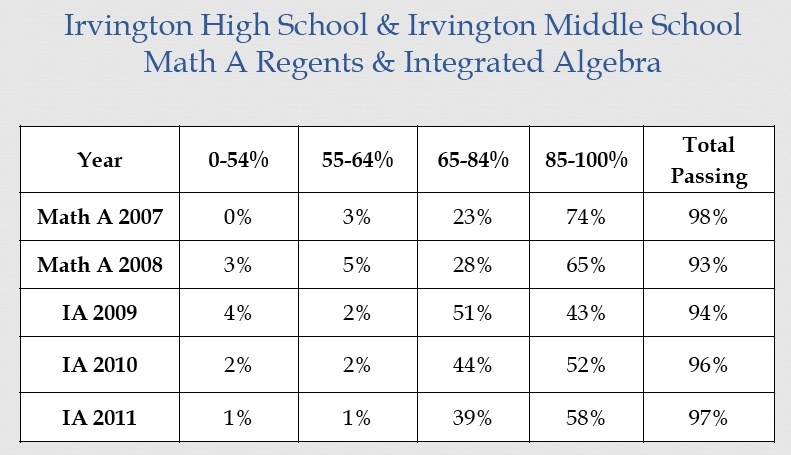 The 2012 Challenge Index shows 55.6% of Irvington students passing at least one AP exam by graduation. 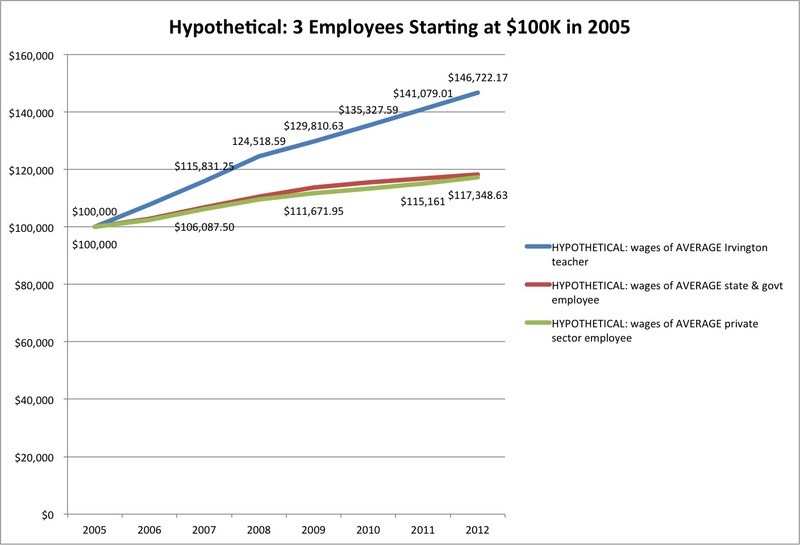 The reason this figure matters is that Advanced Placement courses are, in theory, the equivalent of a college course. 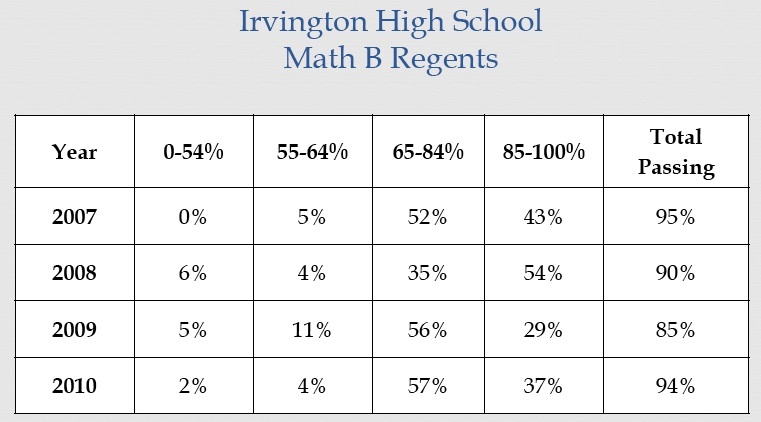 So: 92% of Irvington students attend a 4-year college the year after graduation, but just 55.6% of Irvington students have passed at least one AP exam during high school. What happens during the summer after graduation to make the other 36% ready to take a college-level course and succeed? 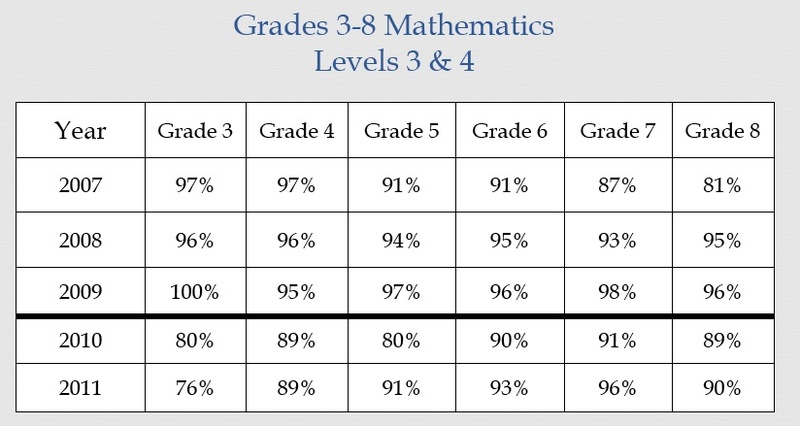 Levels 3 and 4 should be disaggregated and the cut scores and ranges specified. 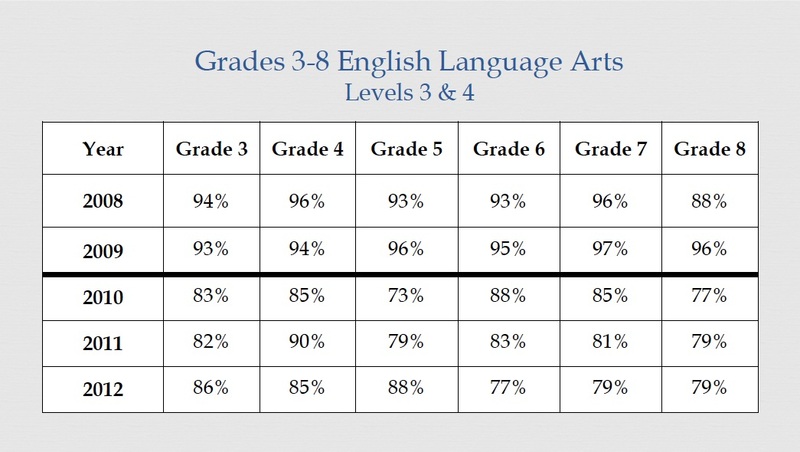 Equity & Excellence (E&E) scores. 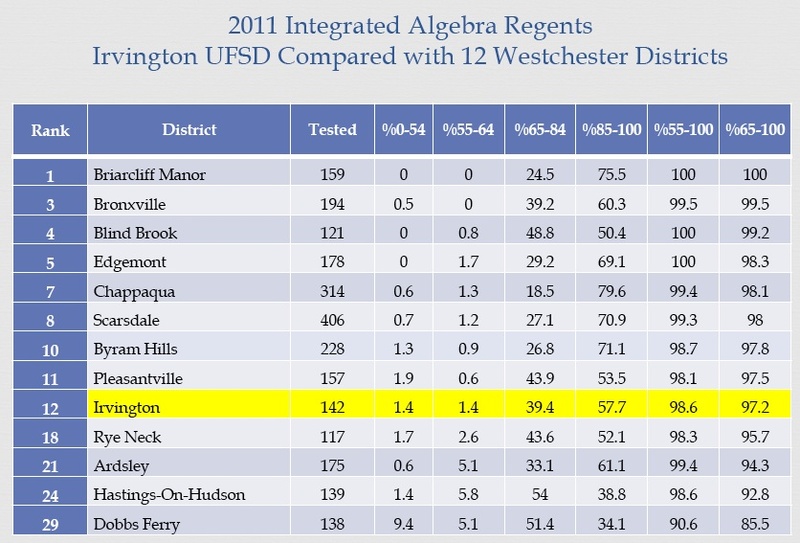 * With only 2 years of data, it’s not clear how to interpret Dobbs Ferry’s jump. 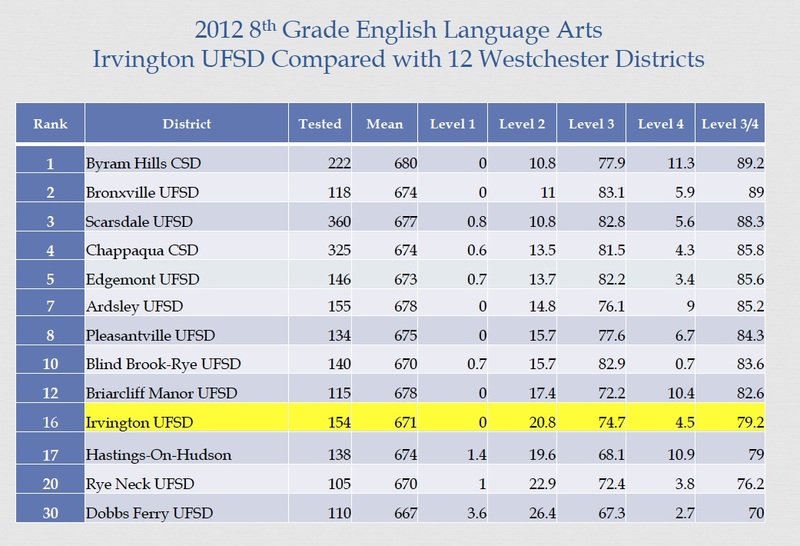 UPDATE 11/23/2013: According to the high school principal, our most recent “Equity and Excellence” score is 63%. 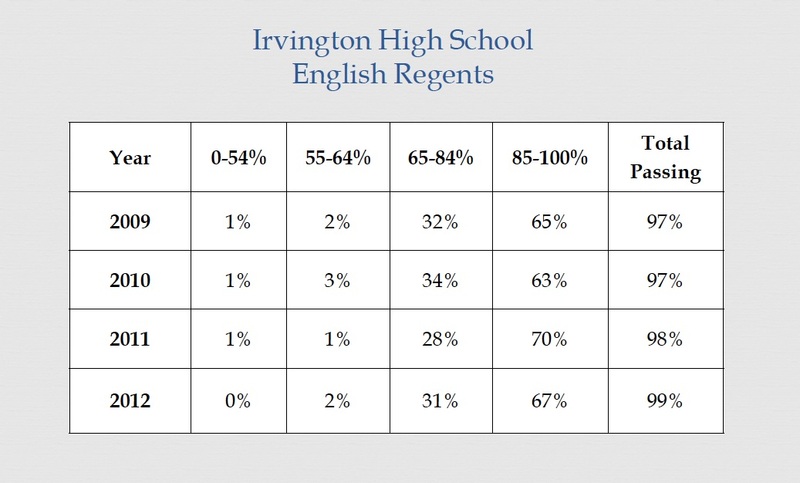 Sixty-three percent of last year’s graduating class had passed at least one AP test. 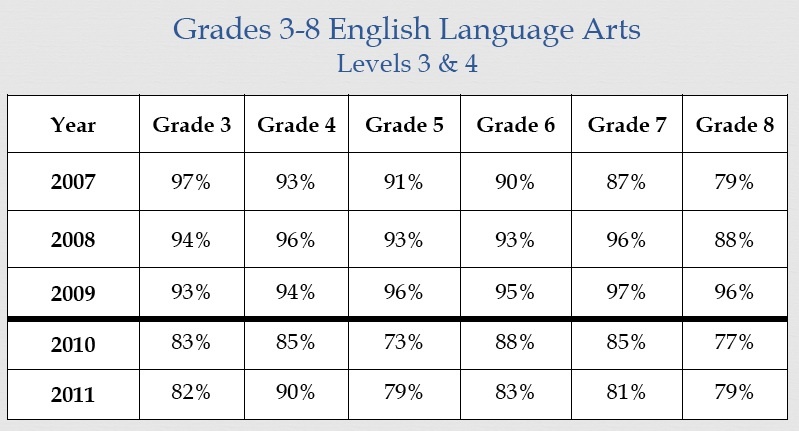 from presentation: As of July, 2010, NYSED updated its definitions for achievement levels. %Lev1 is defined as “Below Standard”. %Lev2 is defined as “Meets Basic Standard”. %Lev3 is defined as “Meets Proficiency Standard”. %Lev4 is defined as “Exceeds Proficiency Standard”. 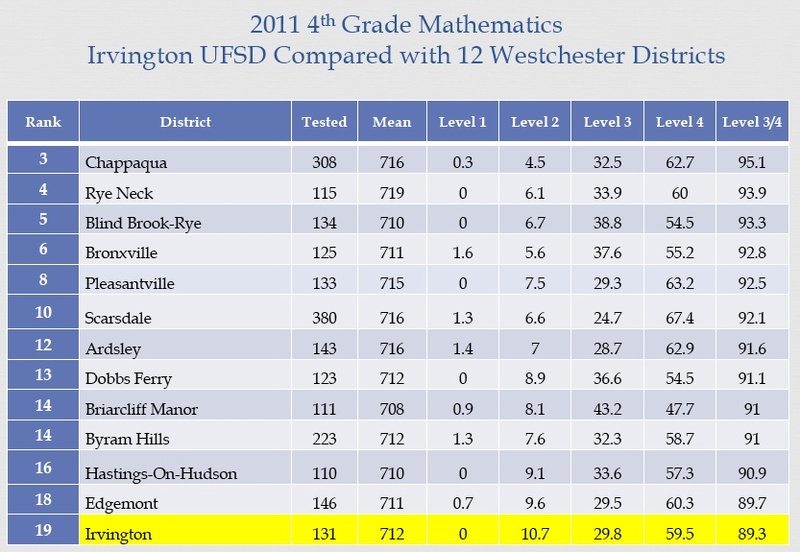 See the NYSED web site for more information. The Powerpoint doesn’t tell us how many students took Algebra/Trigonometry.